This is a slightly smaller island than Zanzibar, more rural, less developed and, in terms of tourism, a much quieter island. Whilst the beaches are not generally as good as on Zanzibar, the diving is superb, snorkelling is great and there are a couple of really good lodges. It’s a quieter and smaller island than Zanzibar. A gorgeous, fairly untouched tropical island which few people visit. A lovely place to see rural Tanzanian life. Some of the best diving in East Africa in the Pemba Channel. Excellent snorkelling, especially off smaller nearby islets. 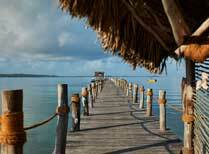 Very few lodges - we only sell 3 - in comparison to over 200 on Zanzibar. There are some reasonable beaches, but sandspits and small islets are also sometimes used too as some are not as impressive as on Zanzibar. April and May are the rainy months, but otherwise, this place is great any time. Pemba Island : How to do it? Pemba is only about a 20 minute flight north of Zanzibar, so it’s very easy to get to. From here you need a road or road-and-boat transfer to get to your chosen lodge. Most people have between 4-7 nights here. 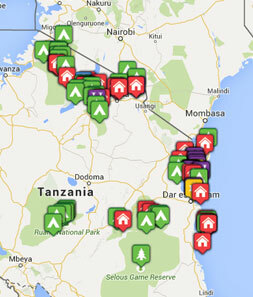 There are very few places to stay on Pemba and Tribes only sells three. The best is certainly Fundu Lagoon which we love, but you should also consider Manta Resort, which includes an amazing underwater room! On the more rustic end, Pemba Lodge offers comfort and good eco-credentials and is locally-owned.